Executioner (Cellat) ransomware is yet another crypto virus recently discovered by security researchers at MalwareHunterTeam. The Executioner ransomware encrypts the user’s data and appends six random characters to the encrypted files. The crypto virus also changes the desktop wallpaper of the victim’s computer, and creates an HTML file identified as Sifre_Coz_Talimat.html which is dropped in every folder with encrypted files. This article is designed to help you to remove the ransomware and try to restore your encrypted files. Short Description The Executioner ransomware encryptс files on your computer and displays a ransom message, demanding that $150 are sent to a Bitcoin address. Symptoms Your files are encrypted, a ransom note is displayed. The desktop wallpaper is changed to a ransom note in Turkish. Distribution Method Spam Emails, Email Attachments, Freeware Bundles, Social Media, etc. User Experience Join Our Forum to Discuss Executioner (Cellat) Ransomware. The Executioner ransomware also known as Cellat ransomware is most likely spread via spam emails containing malicious email attachments, pdf attachments and Word documents prompting the user to enable Macros, etc. Most recent ransomware cases rely on this method of distribution because of its high success rates. Most users tend to be careless with suspicious emails which often lead to ransomware and malware infections. A perfect example here is the way of distribution used by the .sVn variant of the well-known Jaff ransomware. However, there are other probable methods of infections that could be used by the creators of the Executioner crypto virus. A payload dropper which triggers its malicious script could be spread online. The ransomware may also be spreading the payload file on social media websites and file-sharing services. Another popular method of ransomware and malware distribution is via freeware packages where a program may be bundled with malicious programs. To avoid infections of that kind, be extremely cautious when dealing with files downloaded from the Web as well as with emails sent by unknown or suspicious entities. More useful tips on avoiding ransomware are published in our forum https://sensorstechforum.com/forums/pc-tips-tricks/tips-about-ransomware/ . We advise you to read them carefully and drop a question in case you have any. As usual, the wallpaper set by the ransomware contains a ransom demand written in Turkish. The demanded ransom is in Bitcoin and amounts to $150 USD. Send 150$ (Dollar)-(USD) to this Bitcoin Adress: 164eQzsZUZCR9mfLWGdiqqGcUyQsYcX6vU – Case Sensitive! IN ORDER TO DECRYPT YOUR FILES BACK! DO NOT FORGET ! You can use services called LocalBitcoins.com, CoinBase.com and Paxful.com to send BITCOIN! Follow the instructions that given below step by steps once you have done the sending BITCOIN process! Your COMPUTER has been infected by Executioner (CELLAT) Ransomware and ALL OF YOUR FILES SAFELY ENCRYPTED!! Otherwise your files will not be accessible!! If you have finished this step once, please skip this step! DO NOT FORGET ! You can remove the virus from your computer BUT! You cannot decrypt and recover your encrypted files!! THE ONLY WAY is to save and decrypt your files is to buy a DECRYPTION KEY! Once You send 150$ (USD) worth of BITCOIN to the adress that given below than there is nothing to worry about!! Please Keep Continue Reading!! After sending payment of 150$ (USD) worth of Bitcoin, Then open the .HTML file located on YOUR DESKTOP called Sifre_Coz_Talimat.html and you will see an COMPUTER ID copy that COMPUTER ID than email it to the mail address that given below!! Immediately afterwards, you will receive an email with the DECRYPTION KEY and DECRYPTION SOFTWARE within 24 HOURS!! IMPORTANT!! DO NOT FORGET TO SEND YOUR BITCOIN WALLET ADRESS AND YOUR COMPUTER ID TO THE EMAIL ADRESS THAT GIVEN ABOVE!! ALSO All Of YOUR FILES ARE ENCRYPTED WITH RSA-2018 ENCRYPTION!! IT IS NOT POSSIBLE TO SOLVE THIS CIPHER!!! PROOF OF FILE DECRYPTION PROCESS!! As for the encryption algorithms used by Executioner (Cellat) ransomware, it is not known yet. However, considering how evolved most ransomware viruses are, it is highly likely that the creators of Executioner (Cellat) employed a sophisticated encryption nearly impossible to decrypt without the decryption key possessed by the cybercriminals. If your computer got infected with the Executioner (Cellat) ransomware and you wish to remove it manually from your system, note that you should have at least a bit of experience in removing ransomware or malware. Still, you should get rid of this ransomware immediately before it gets the chance to spread further and infect more computers. To remove Executioner (Cellat) ransomware entirely from your machine, pay close attention to our removal instructions provided below. Also, remember that paying the ransom is not recommended as you would be further fueling the malicious operations of whoever is behind Executioner (Cellat) ransomware. Threats such as Executioner (Cellat) Ransomware may be persistent. They tend to re-appear if not fully deleted. A malware removal tool like Combo Cleaner will help you to remove malicious programs, saving you the time and the struggle of tracking down numerous malicious files. Threats such as Executioner (Cellat) Ransomware may be persistent on your system. They tend to re-appear if not fully deleted. A malware removal tool like SpyHunter will help you to remove malicious programs, saving you the time and the struggle of tracking down numerous malicious files. Note! Your computer system may be affected by Executioner (Cellat) Ransomware and other threats. SpyHunter is a powerful malware removal tool designed to help users with in-depth system security analysis, detection and removal of threats such as Executioner (Cellat) Ransomware. 1. Install SpyHunter to scan for Executioner (Cellat) Ransomware and remove them. 2. Scan with SpyHunter, Detect and Remove Executioner (Cellat) Ransomware. 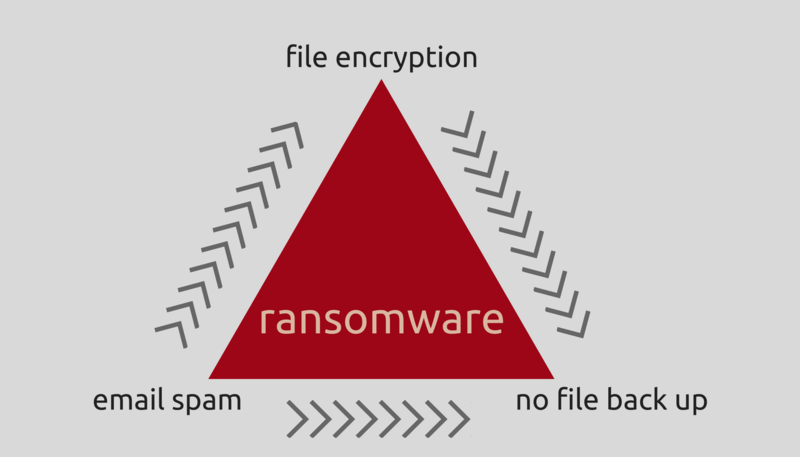 Ransomware infections and Executioner (Cellat) Ransomware aim to encrypt your files using an encryption algorithm which may be very difficult to decrypt. This is why we have suggested several alternative methods that may help you go around direct decryption and try to restore your files. Bear in mind that these methods may not be 100% effective but may also help you a little or a lot in different situations. Note! Your computer system may be affected by Executioner (Cellat) Ransomware or other threats. Remove Executioner (Cellat) Ransomware by cleaning your Browser and Registry. Fix registry entries created by Executioner (Cellat) Ransomware on your PC. Combo Cleaner is a powerful malware removal tool designed to help users with in-depth system security analysis, detection and removal of threats such as Executioner (Cellat) Ransomware. Step 5: In the Applications menu, look for any suspicious app or an app with a name, similar or identical to Executioner (Cellat) Ransomware. If you find it, right-click on the app and select “Move to Trash”. Step 6: Select Accounts, after which click on the Login Items preference. Your Mac will then show you a list of items that start automatically when you log in. Look for any suspicious apps identical or similar to Executioner (Cellat) Ransomware. Check the app you want to stop from running automatically and then select on the Minus (“–“) icon to hide it. Remove Executioner (Cellat) Ransomware – related extensions from your Mac’s browsers. A pop-up window will appear asking for confirmation to uninstall the extension. Select ‘Uninstall’ again, and the Executioner (Cellat) Ransomware will be removed. When you are facing problems on your Mac as a result of unwanted scripts and programs such as Executioner (Cellat) Ransomware, the recommended way of eliminating the threat is by using an anti-malware program. Combo Cleaner offers advanced security features along with other modules that will improve your Mac’s security and protect it in the future. Hey !, I found this information for you: "Remove Executioner (Cellat) Ransomware. Sifre_Coz_Talimat.html File". Here is the website link: https://sensorstechforum.com/remove-executioner-cellat-ransomware-sifre_coz_talimat-html/. Thank you.